In my previous blog, I talked about setting up sendmail inside a Docker container. 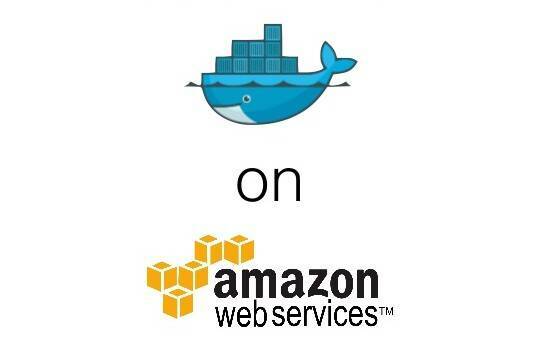 In this blog, we will talk about how to make your Docker containers come up during Auto-scaling of AWS servers, start, and use a service like sendmail inside them. You can make changes to scripts based on your use-case. I just want to make the logic clear. I had a PHP application running inside my Docker container (CentOS 7 based), being served by httpd (Apache2). This was single container running on a host machine. A use-case arose when I thought of what would happen when the traffic to my website increased or the CPU utilization went high etc. . I would have to scale my containers i.e. launch a new server and run a container inside that. Also, what I needed to do is keep the containers isolated & check whether the container has come up in auto-scaling or not. So, that is what the blog is about. So, I have made a script which you can add to user data in Launch Configuration. What I will assume is that you already have a Docker container running (CentOS 7 based), and it is serving some PHP application through httpd. An Auto-scaling group & Launch Configuration in your AWS account. Your host machine’s AMI added to the Launch Configuration. Latest image of your running container committed to Docker Hub or you may locally commit the container image & create an AMI from that and add to Launch Configuration group. This script is present on the host machine & takes one parameter input (container_id) to execute which we will pass in the main script. It firstly runs docker exec command which in turn runs the command bash /home/dockerscriptetchosts.sh inside the Docker container and in turn the next commands. The last command restarts httpd. The main script autodeploy.sh is below. Just go through it and I will explain the script just after that. You will need to put this bash script in the user-data. It also exposes port 80 to the outside world, mounts directory /mnt/code from host machine to /opt/code using -v switch, sets the variable –restart to “always” for the container & the container ID is stored in the variable container_id. Inside /mnt/code is your PHP code. The httpd service will start on its own as I already added a CMD via Dockerfile i.e. Now, since that is working, next is getting sendmail up & running. For that execute the dockersendmail.sh script. This will work as we discussed above. Now, everything should be working fine & your docker container will start when your servers auto-scale.